Yes, fish is high-quality food, and part of a regular diet in most European countries, also in the nutrition of infants. Fish should be eaten on a regular basis because it is a valuable source of nutrients. Seafish is a significant supplier of the trace element iodine, which is indispensible for a well-functioning thyroid gland. It is also vital for babies and important for their development. Salmon contains plenty of valuable Omega-3 fatty acids that are important for the development of brain cells and neurons. Eating habits are shaped at a very early stage in life. Therefore, it is important to get babies familiar with healthy meals – which includes fish. We have had seafish in our product range for a very long time and have offered it in meals from the 8th and 12th month. 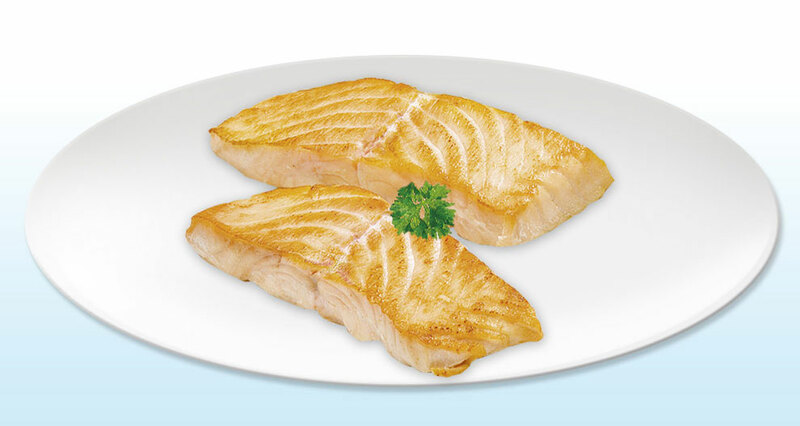 Now we have developed two more tasty fish dishes with salmon for babies from 4 months and 12 months. All these meals are therefore an important contribution to a varied diet for your child. That should include having fish once a week. Even babies with allergy risks are allowed to eat fish when they have reached the weaning food age. This is because the recommendations regarding the composition of weaning food apply both to babies with allergy risks as to babies with no allergy risks. There are even indications that eating fish during baby’s first year could have a preventive effect on the development of allergies. The salmon we use comes from an aquaculture (controlled breeding), which is becoming increasingly important as an alternative to classic off-shore fishing, as it can help to reduce the stress on overfished waters. 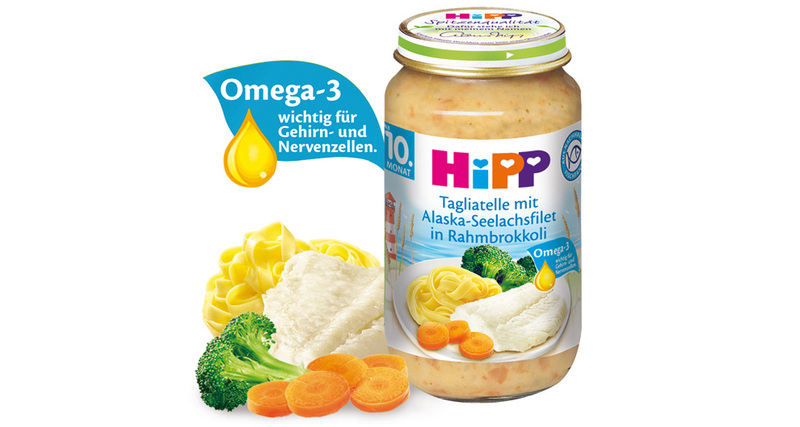 You must be asking yourself: Where does the fish for HiPP meals come from? The seafish, e.g. the Alaska pollack, comes from off-shore fishing and the fishing grounds are located in selected off-shore regions. The fish is caught and certified according to the guidelines of the Marine Stewardship Council (MSC). This way we at HiPP can guarantee considerate and sustainable fishing, preserving fish stocks and avoiding overfishing of the oceans. All fish is immediately processed fresh and is deep-frozen for further processing. Before the fish gets into the jar, it is carefully examined in our laboratories.